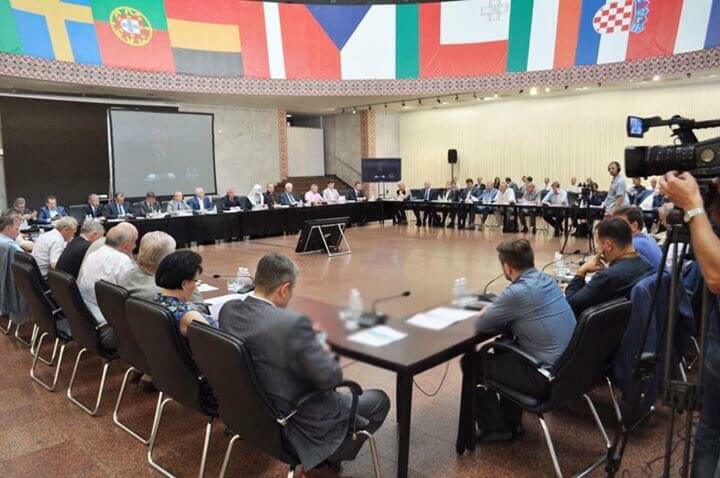 The Fifth National Forum “Transformation of Ukraine” hosted representatives of the civil society, clergy, parliamentarians, government and business representatives, ambassadors, heads of diplomatic missions. Among the speakers were Patriarch Filaret, Head of the EU Delegation to the Vatican, former Ambassador of the European Union to Ukraine Jan Tombinski, Member of the NFTU Supervisory Board, USPP President Anatoliy Kinakh, Ambassador of Lithuania to Ukraine Marius Janukonis, NFTU Coordinator Mykhaylo Khariy and others. The topic of the Fifth Forum “Transformation of Ukraine” was “Agenda of the national development plan for Ukraine”. The Draft Statement of the Interparliamentary Forum “Transformation of Ukraine” has been presented. It will consist of deputies of the Parliament of Ukraine, members of the Parliaments of Poland and Lithuania. The purpose of its creation is to develop a strategy for building an economically attractive, legal Ukraine as a part of the European family, based on the experience of successful transformation in the countries of Central and Eastern Europe. Patriarch Filaret has emphasized that reforms need to be done with love for people, consequently this will improve their lives. Jan Tombinski stressed a crucial role of democratic accountability, development of state institutions and permanent work. Anatoliy Kinakh, Member of the NFTU Supervisory Board, USPP President tolled about the dynamics of the socio-economic and demographic situation in Ukraine. NFTU Coordinator Mykhaylo Khariy informed about important developments of the Forum in the field of intensifying work with Western partners. NFTU cooperates with government officials and experts who possess successful experience in country transformation, such as Marek Belka (polish professor of Economics, politician and statesman, former Prime Minister of Poland, twice Minister of Finance of Poland, twice Chairman of the Development Committee of the International Monetary Fund and the World Bank, former President of the National Bank of Poland) and Andrius Kubilius (member of the Seimas of the Republic of the Republic of Lithuania, Deputy Chair of the Committee on European Affairs, member of the European People’s Party, former Prime Minister of Lithuania), who have recently become Advisors of the NFTU. 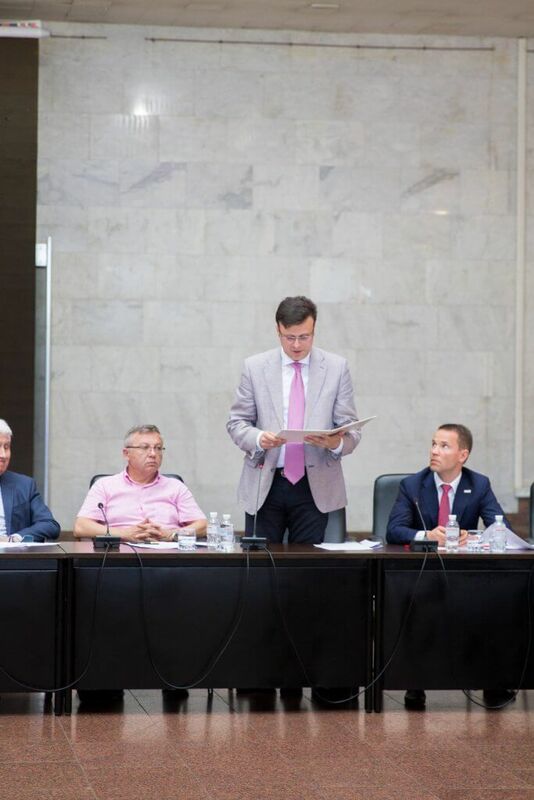 Member of the Parliament of Ukraine Viktor Halasiuk presented an official letter of support to the National Forum “Transformation of Ukraine” from the Chairman of the Verkhovna Rada Andriy Parubiy. Oleksa Petriv, mitered archpriest, head of Foreign Relations Department of the UGCC in Ukraine, spoke of a noteworthy initiative to commemorate celebration of Thanksgiving Day in Ukraine at the national level.